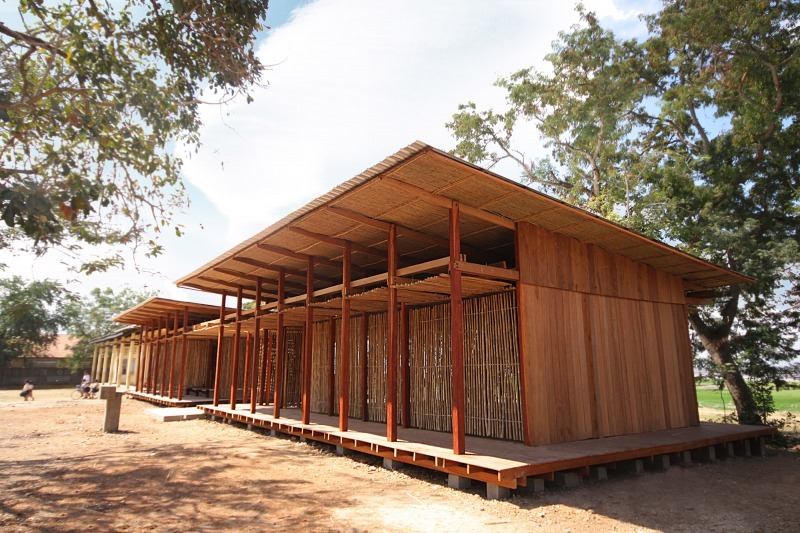 Thom Mun Community Center is situated northeast of Takeo town in Cambodia. 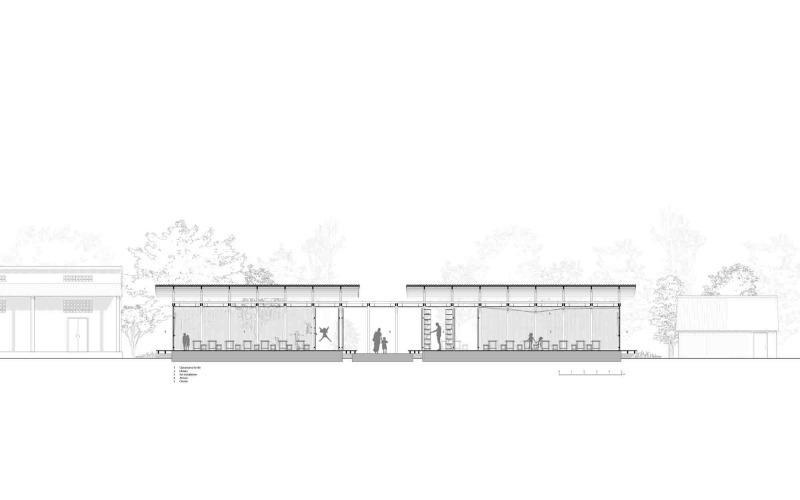 The center's main function is to provide free classes to children and offer a public gathering place, activating the local pagoda complex into a public arena. 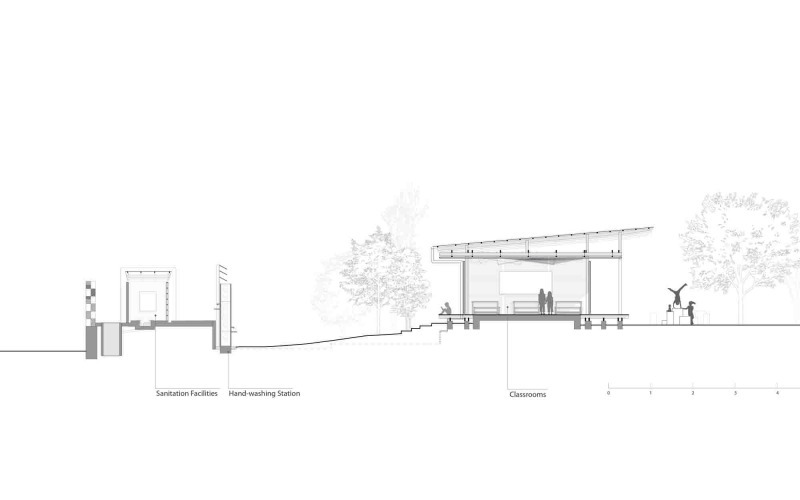 With 65 volunteers and local craftsmen the center was completed in two winter phases. 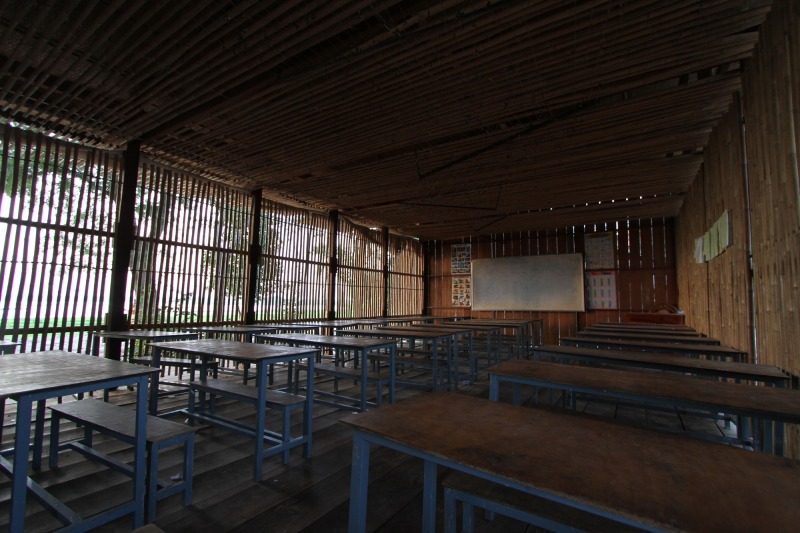 The project is composed of two classrooms on a raised platform, enveloped by a series of porous bamboo screens. 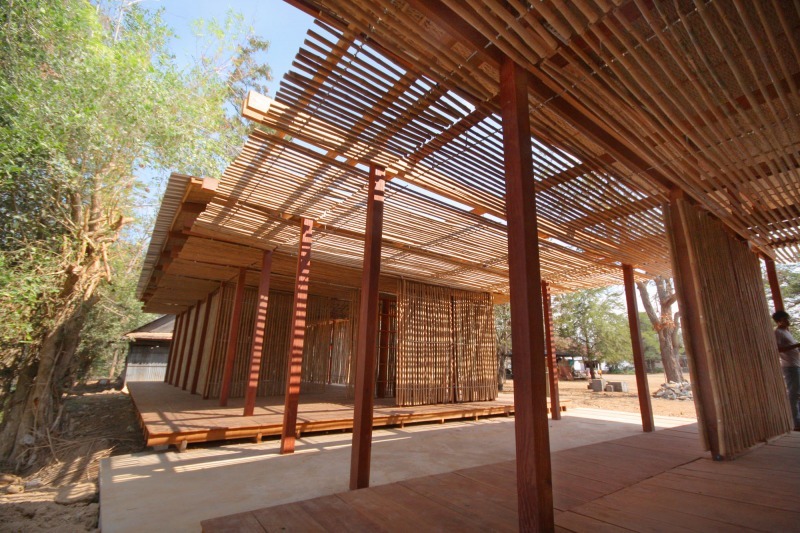 The ceiling bamboo screen extends between the two volumes connecting them to create a shaded corridor overlooking a horizon of rice fields. 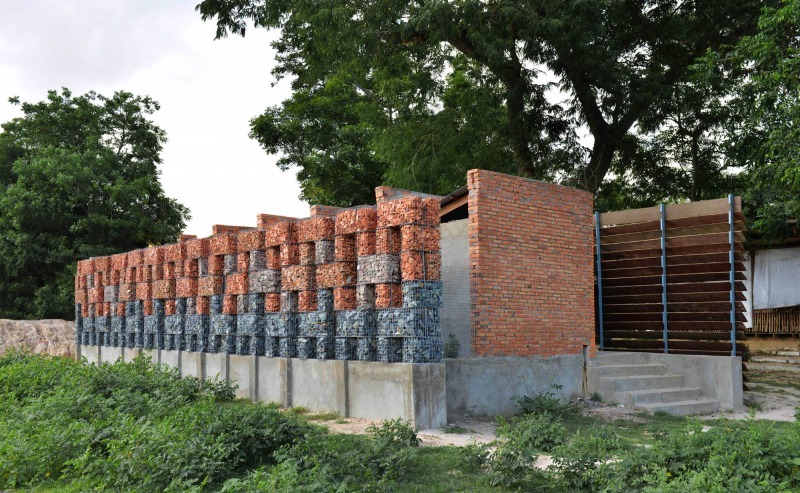 The Sanitation Facilities completed in 2013 employed a heavier approach. 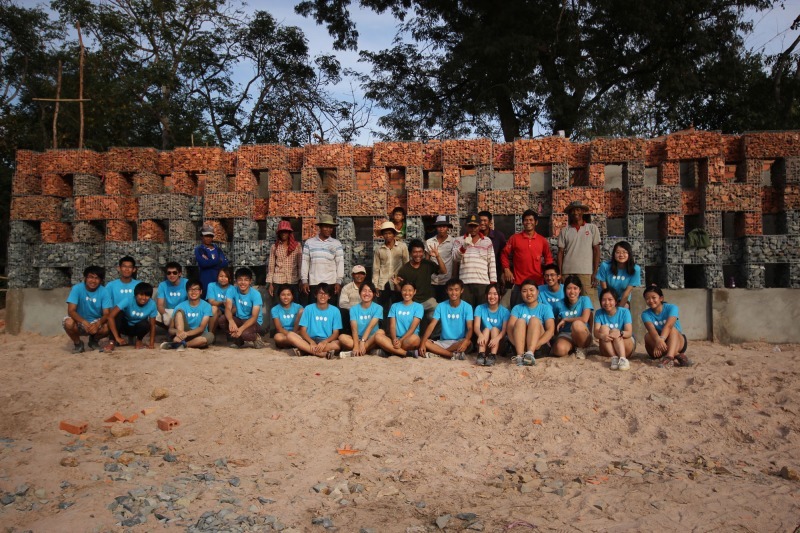 While maintaining the simplicity in form, the gabion wall signifies the volunteering efforts. We collected the rubbles of temples destroyed in the area to fill up the wire cages. The gabion wall became a manifestation of historical strata reconstructed as the future of civility and social cohesion. 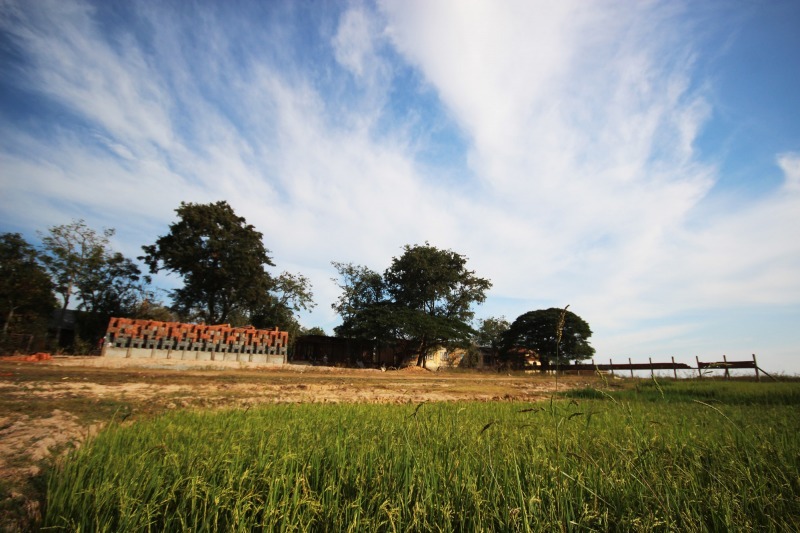 According to the recent General Population Census of Cambodia, the urban – rural population ratio in most regions in Cambodia was skewing towards a predominant rural population1. 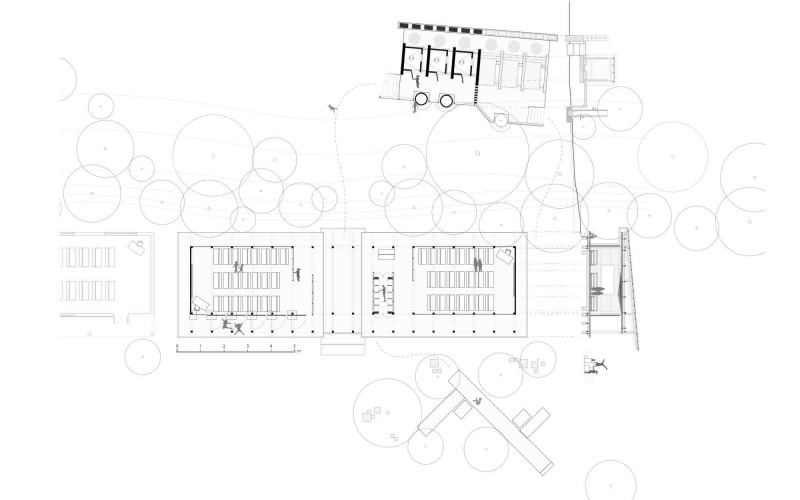 We suggest that a diversification from a predominantly agricultural industry could be an active form of urban design in a village setting. 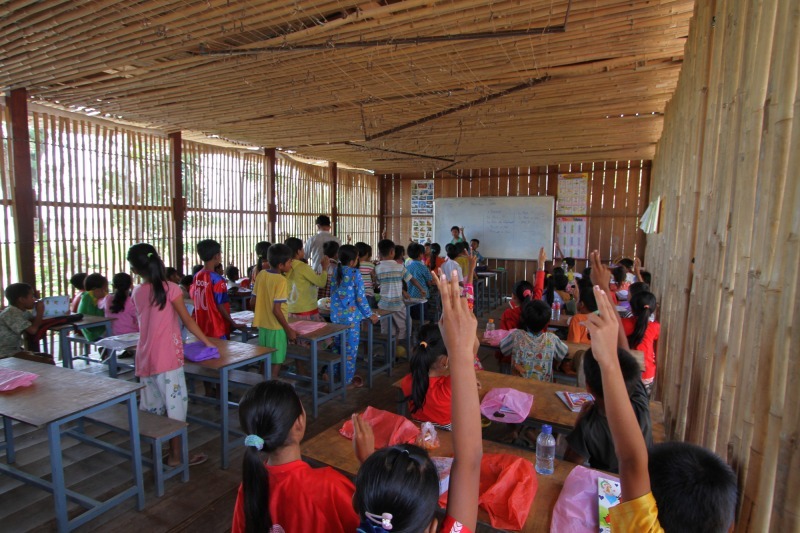 If urbanization is a process through which social mobility is encouraged, education offered in the Community Centre provides an opportunity for individuals living in Thon Mun Village the mobility to enter other industries apart from agriculture. Community-built 23 meter span bamboo footbridge.